A place where nomadic workers can focus on individual tasks with minimal interruption, especially when enclosed. 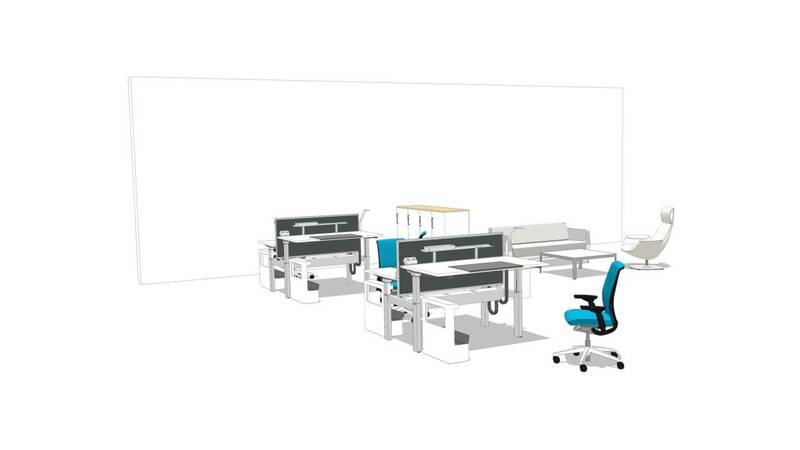 Ology Bench height adjustable tables support varied postures and work styles that represent a major contribution to Wellbeing at Work. Mobile Caddy offers a temporary storage solution for personal belongings at desk while Storage elements create space boundaries and provide privacy.